There is nothing that can compare with the clean and well groomed appearance of eaves. As a key feature of your home’s exterior, eaves often need freshening up to complete any roof restoration. Dirt, mould, fungus and pests flourish in the overhang and can really diminish the look of any entrance or home. treat and paint them with a fresh coat of mould resistant paint to match your new roof. Removal of Existing Mould using environmentally friendly chemicals. Trim and cut back tree branches that shade the eaves and foster mould and mildew build up. Create some circulation holes that help the air circulate, ventilation and the speed the drying the wood after rain or bad weather. Painting the eaves with a mould resistant paint. Show customers how to best undergo a preventative maintenance program to eliminate the reappearance of mould and mildew. 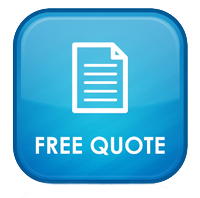 For an obligation FREE competitive quote, Phone 1300 886 990. Email us at info@repairroofmelbourne.com.au or use our online Contact Form for an immediate response.